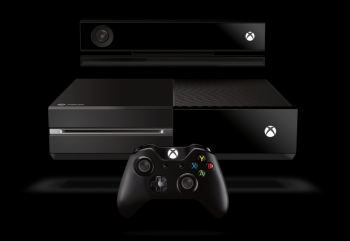 Cost-reducing measures could make Microsoft's next console its first to be profitable at launch. Consoles aren't usually profitable at launch. To keep new systems affordable and grow a user base, publishers are usually willing to take the financial hit early in a new generation, hoping it will make up the loss with software, accessories, and services. This is true of the original Xbox and Xbox 360, neither of which were profitable at launch. Microsoft, however, believes it can break this trend with the Xbox One. According to Chief Marketing Officer Yusuf Mehdi, the Xbox One is poised to at least break even, and might even have a small profit margin. The comments were made at the Citi Global Technology Conference earlier this week, where Mehdi explained that cost-reducing measures on the Xbox 360 made after launch can now be used in Xbox One's production. "...We're looking to be break even or low margin at worst, and then make money selling additional games, the Xbox Live service, and other capabilities on top," he said about the Xbox One. It even sounds like an Xbox One price drop could already be in the cards... eventually. "And as we can cost-reduce our box as we've done with 360, we'll do that to continue to price reduce and get even more competitive with our offering." Meanwhile, the aging Xbox 360 is now "incredibly profitable." As Mehdi said, "You've seen us over the years constantly be focused on profitability and improving year over year," and now the Xbox 360 is paying off "in the tail" of its lifetime. Making a console profitable at launch is no small feat, though it's worth noting that the Xbox One is launching at a whopping $500 in the United States--a full hundred dollars more than the PlayStation 4, its direct competitor, and twice the price of the Wii U. Microsoft may see its first launch profit if the system sells well, but whether or not customers are willing to accept that price tag remains to be seen.